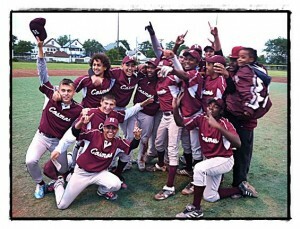 For the Hamtramck High School baseball team, it’s their championship year. 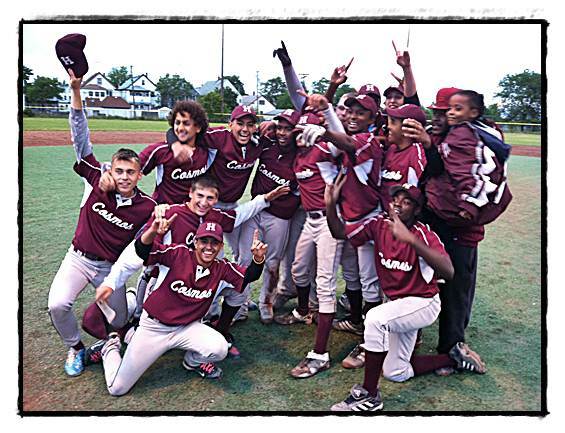 Last week, Hamtramck High’s boys’ varsity baseball team won their first district championship since … well, since anybody can seem to remember. And the remembering seems to be a bit murky. It’s certainly the first one since the Michigan High School Athletics Association has been posting records, which goes back to 1997, 15 years ago. Adam Mused, the coach of the team – he also doubles as the wrestling team coach – says that the general consensus is that it’s the first district title in 27 years, although, in a press release he made available, he notes that alumnus Jeff Olko thought the last title came in ’87, which would be 25 years ago, not 27. Mused had come from winning a championship last year in the 18-and-older Connie Mack league of the Michigan Chapter of the American Amateur Baseball Congress. The AABC is a serious prep association, with a number of different leagues ranging from those for 9-year-olds on up. Mused cites two games, in particular, which seemed to set the tone for his 15-man squad’s season: the very opening game, against Ecorse, where his team overcame a 6-1 deficit to win late, 7-6; and then the third game (following their first loss), where the team again found itself down big, this time by seven runs early to St. Clair Shores Southlake, only to fight back for a 16-14 eventual victory. The team finished 16-9 overall, 14-8 for the regular season, and did indeed bring home the district championship title before getting roughed up in the playoffs, which were held this past Saturday at Livonia’s Ladywood High. Hamtramck was taken out 11-0 in that game by Dearborn Divine Child. Still, it was a season to be very proud of overall, and Mused sounds excited for next year as well. I was part of that Co-Championship team back in 84 / 85,sorry memory isn`t what it use to be. I was the only freshmen from my class of 1987 to make the Varsity team. And I remember what a thrill it was to have that feeling of bring something back to the city that it hasn`t had in a long time. Yeah we were Co-Champs but we were still part of a Championship team. Congrats guys, sorry its so many years in between winning.